One of the main health challenges for the elderly in Africa are non-communicable diseases such as dementia, but current health systems are not designed to meet such chronic care needs. Dementia is set to become a major problem for African countries. The World Alzheimer report 2011, from Alzheimer’s Disease International, estimated that by 2050 the number of people living with dementia would rise from 36 million to 115 million. The proportion living in low- and middle-income countries would rise from 58% to 71%, and African countries are part of the list. According to World Health Organization (WHO), health systems in Africa, need to adapt to meet the chronic care needs of the elderly as the shift to aging populations gathers pace in low- and middle-income countries in the world. As populations age rapidly, infrastructure must be put in place to address the needs of elderly with dementia. What is being done at this time and how can we change things for the better? At this time, research is ongoing with this disease but we can utilize activities to stimulate the elderly’s brain. For instance, crossword puzzles help. 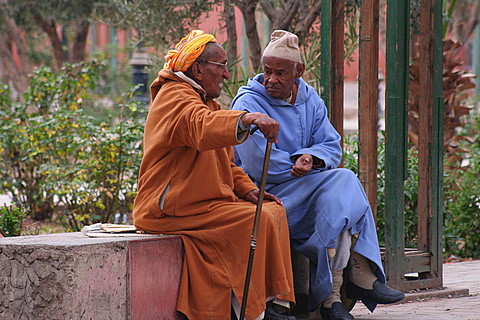 Countries need more people to advocate for the elderly. Africa will continue to be affected most by such non communicable diseases.The challenge is mostly to train as many healthcare professionals as possible,starting from geriatric doctors,nurses and other clinical staff that have to deal with the aging population.A lot of research is needed on this subject.May I find out how many parts of research into this disease has been started or even completed?I like your blog as it keeps me updated with gerontological issues. Very true Bongiwe. We cannot always stop these diseases but we can control how we manage them. You bring up good points because we need all types of aging populations from geriatric doctors to lawyers that will advocate for elderly health issues. There is ongoing research on this subject but its not a lot. Research on dementia is rising and the goal is to increase awareness of this research. Thank you for your comment! Gerontology issues is part of this blog’s mission.